The historic Hotel De Anza opened its doors to the public 70 years ago, in the middle of the Great Depression. Today the 144-room hotel stands proudly on the edge of downtown San Jose as a testament of all that the city has to offer: charm, sophistication and a rich cultural history. I had the pleasure of staying at the Hotel De Anza for three days in early April while visiting San Jose on business, and I was immediately impressed by the hotel’s grandeur. Upon check-in, I was greeted by smiling and attentive employees and given chocolate chip cookies. I don’t know about you, but being greeted with baked goods as soon as I arrive at a location is a great first impression! 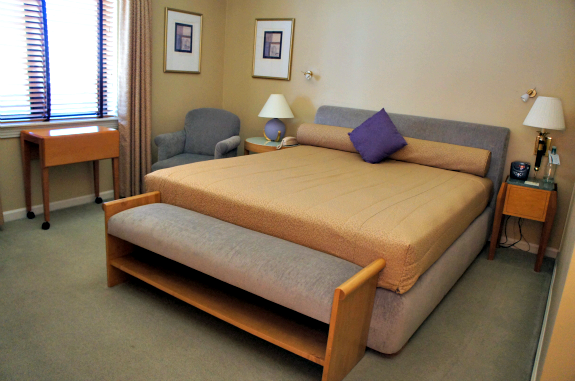 Guestrooms at the Hotel De Anza are spacious, with a simple but elegant feel. When I first walked into my guestroom, I saw that there were no real pillows on the bed and I was fearful that I would not be getting a good nights sleep while there…luckily, the housekeeper brought big, fluffy pillows out of the closet when she arrived shortly after my own arrival for turn down service. My bed was comfortable and I slept soundly each night at the Hotel De Anza – which was fortunate, because I had long meetings each day I was in town! 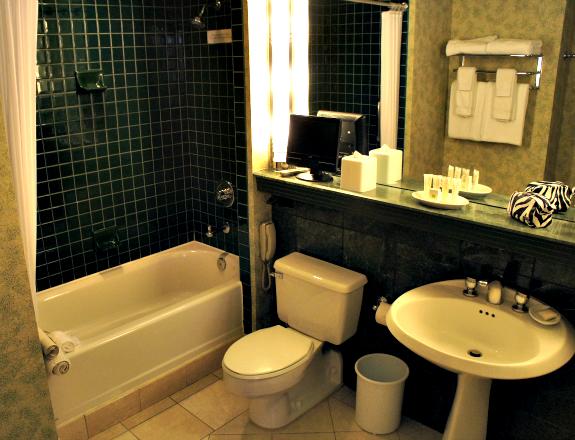 One of the first things I check when visiting a new hotel is the bathroom: I personally think that the feel of a bathroom says a lot about a location. 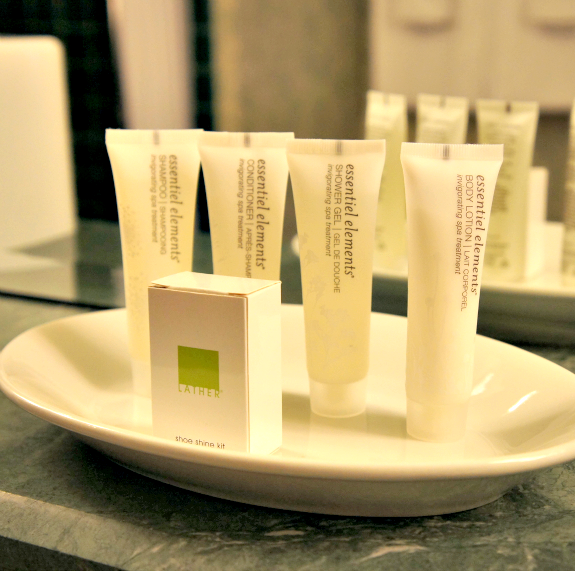 I found luxurious toiletries, plush bathrobes and a television in the bathroom – these are small touches that significantly enhance a hotel stay! 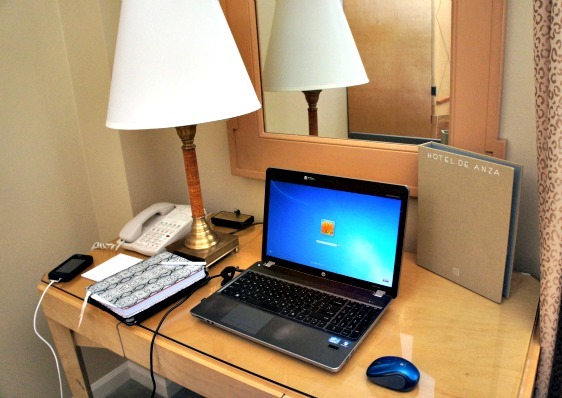 As I tend to work a lot even while traveling, a nice business space is very important to me. I am used to sitting at my kitchen table while working at home, and I struggle when I do not have a proper desk while traveling. Not only did I find that the Hotel De Anza had a strong and reliable wifi signal in my guestroom, but there was a great desk area right next to the window, which meant that I had a lot of natural light while working! I had a Twitter party planned while on this business trip and the wifi signal was strong enough that I experienced no lags in connection and my party went off without a hitch! While there are plenty of wonderful restaurants in the nearby San Pedro Square, you don’t have to go very far for a bite to eat. Hotel De Anza’s onsite restaurant, La Pastaia, has a delicious menu and is conveniently located off the lobby on the first floor. They are open for breakfast, lunch and dinner, and even have a small cafe on the other side of the hotel that serves lunch exclusively. 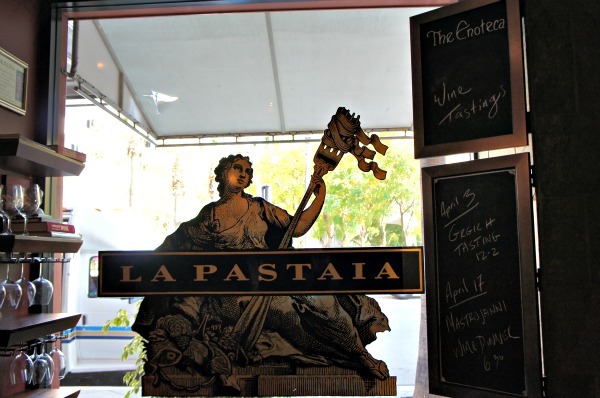 I recommend making a reservation for lunch or dinner, as La Pastaia is a popular restaurant and is always busy! 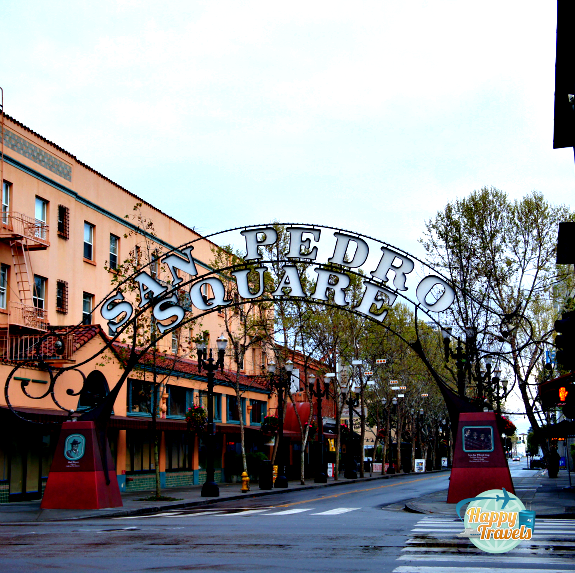 San Pedro Square is just two blocks away, and is home to many restaurants, San Pedro Market and The Tabard Theatre Company performs at the Theatre on San Pedro Square. The beloved 25-foot “diving lady” was originally painted on the West side of the building in 1951 to promote the hotel’s heated pool. 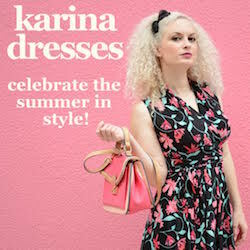 Her body type was conceptualized from the infamous frames of “Barbie” and Ester Williams and remains a local attraction today. Hotel De Anza was originally going to be called “The San Jose Hotel” but was changed to “Hotel De Anza” after Juan Bautista de Anza, who discovered the Santa Clara Valley in 1776. The ceilings in the Hedley Club Lounge and De Anza room were renovated in the late 80s as an exact duplication of what they were originally and the terracotta, earth tone and peach exterior was also restored to its original likeness. 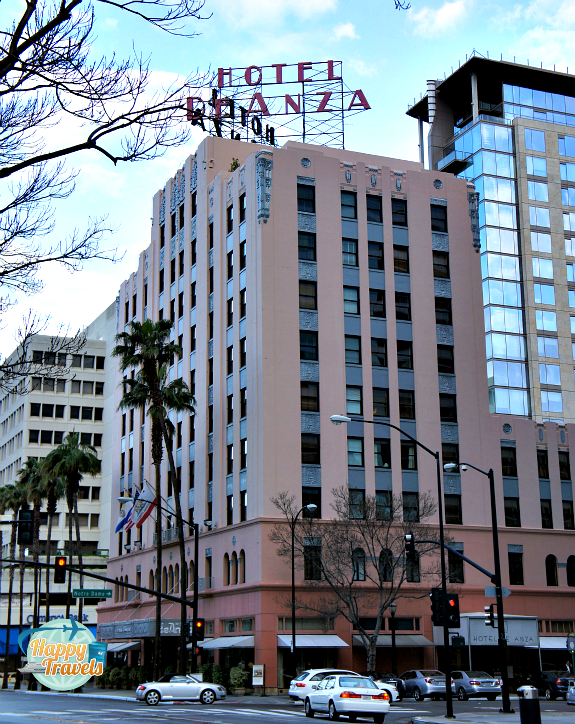 You can find out more about Hotel De Anza in San Jose, California on HotelDeAnza.com.